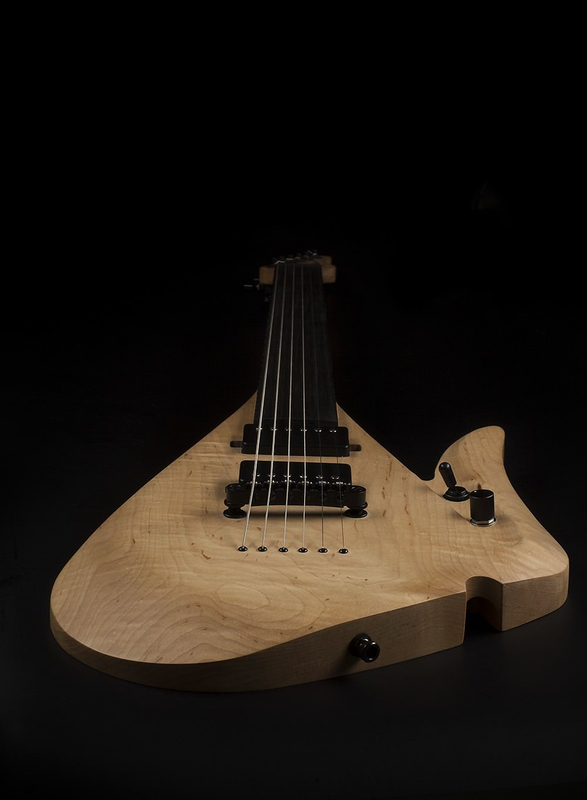 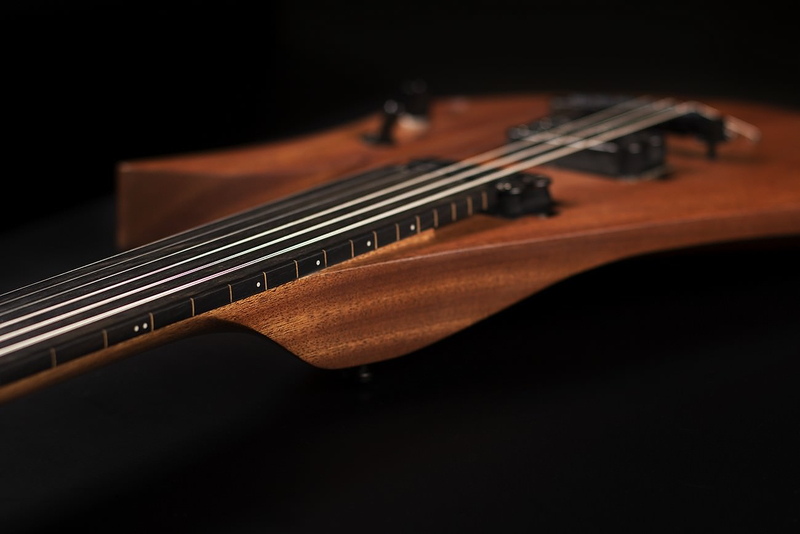 HomeBlogVariousLava Fretless Electric Guitar by Rapolas Grazys. 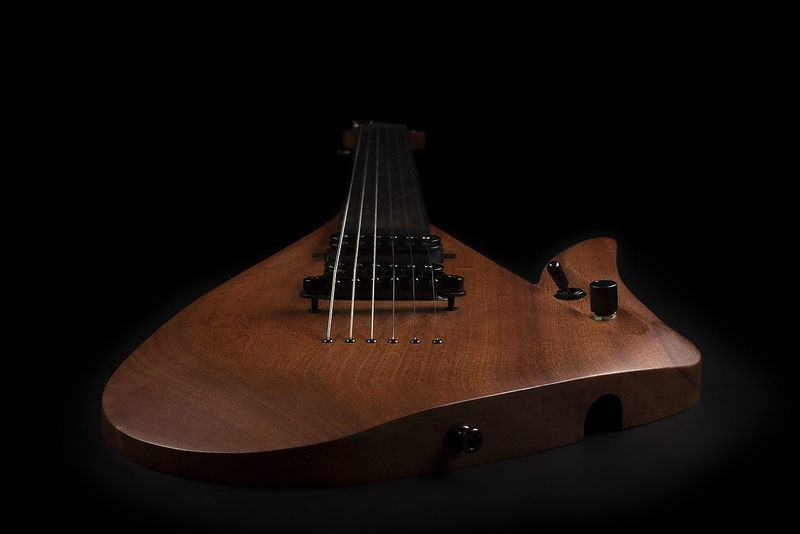 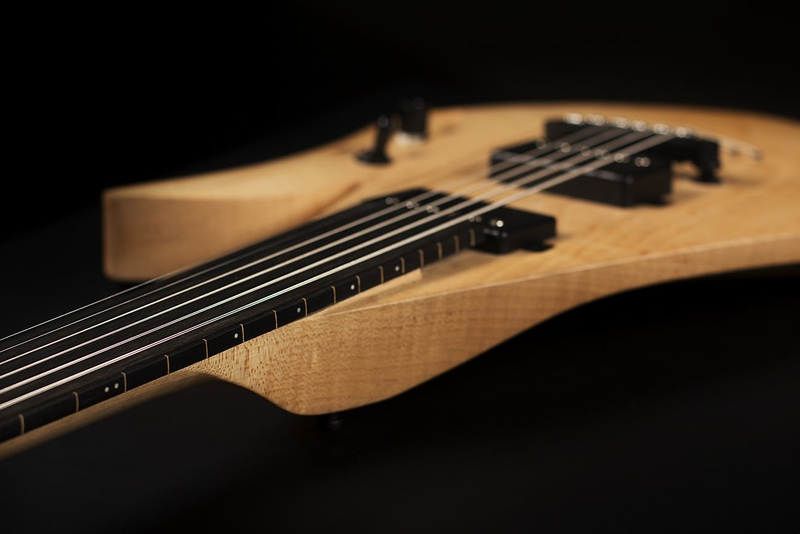 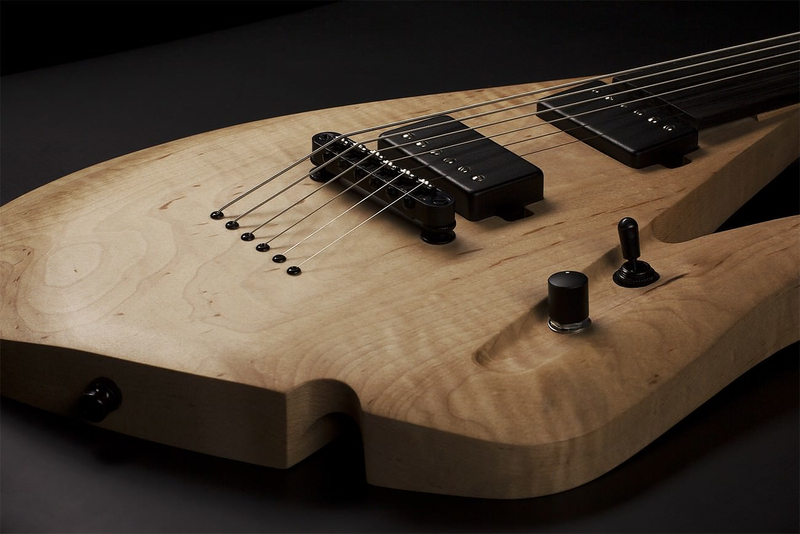 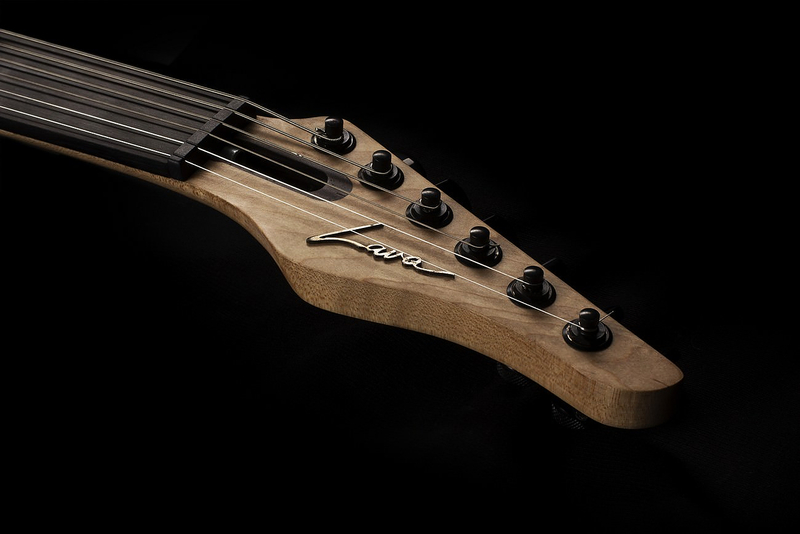 Lava Fretless Electric Guitar by Rapolas Grazys. 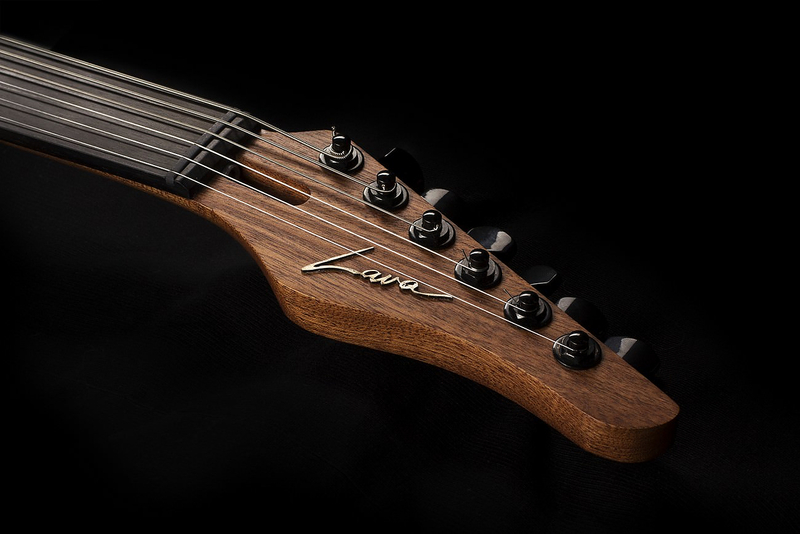 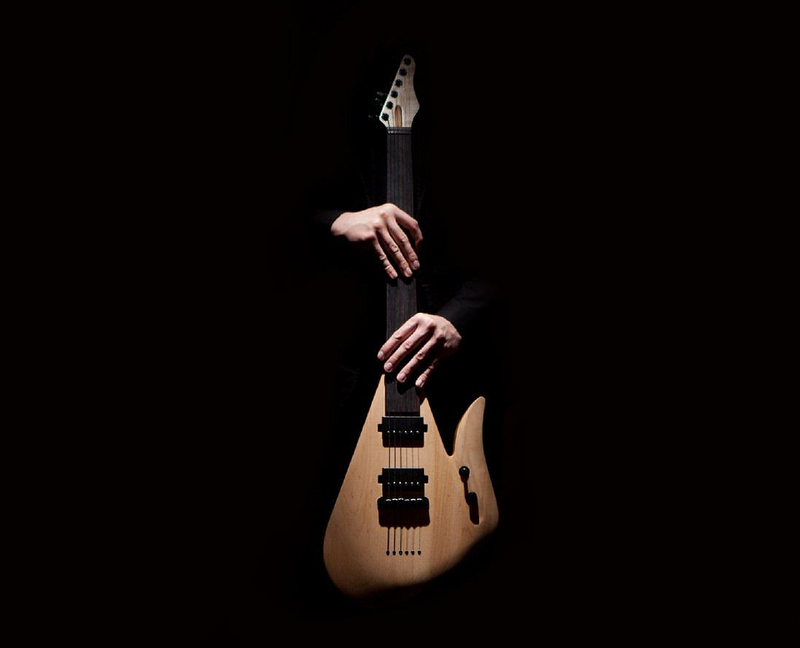 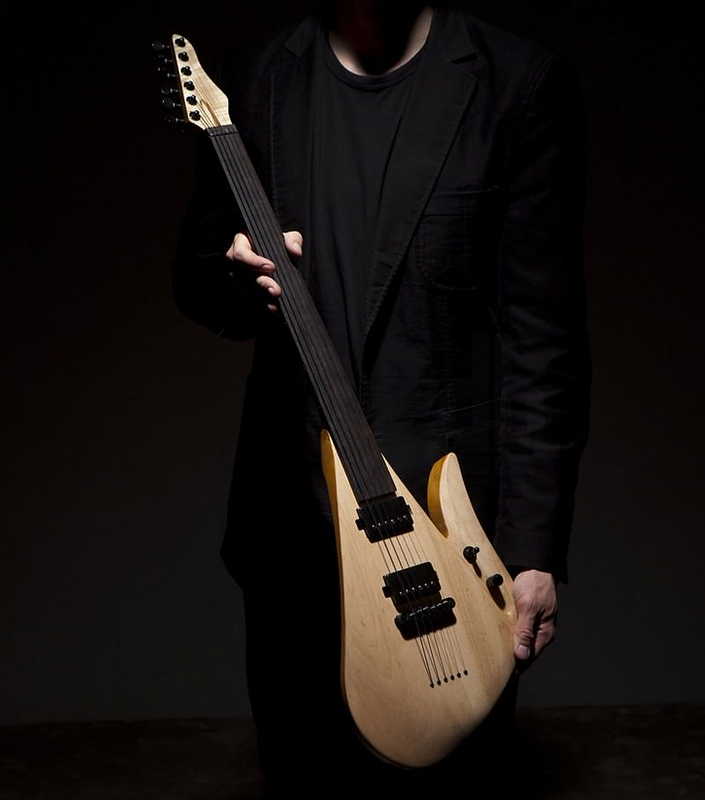 Lithuanian designer Rapolas Grazys presents LAVA a stunning fretless electric guitar that not only looks unique but also produces unique sound. 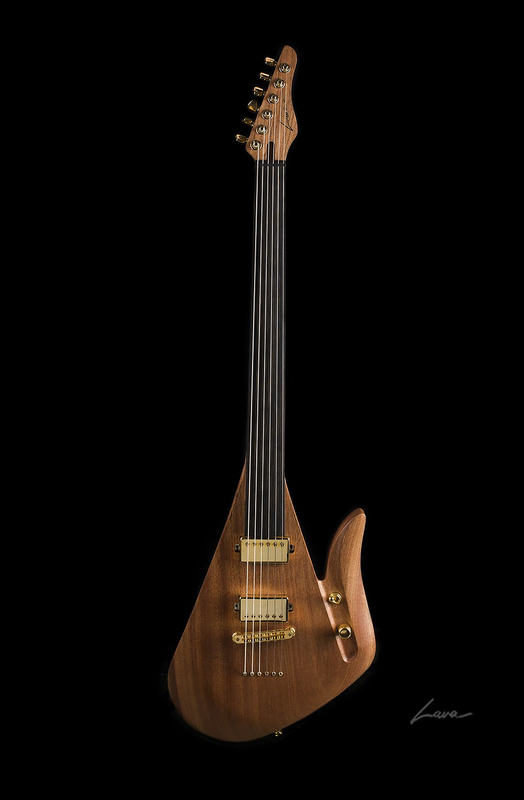 Influenced by the classical instruments: cello, violin, contrabass and Eastern instruments, the main detail of which is fretless neck, Rapolas Grazys engineered an electric guitar with a fretless neck. 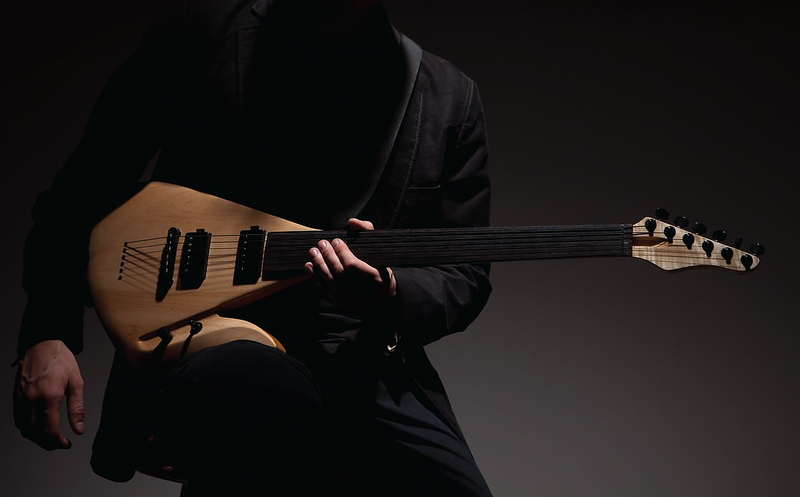 Typically represented by metal strips, frets allow musicians to spatially distinguish semitones along the base of the fingerboard. 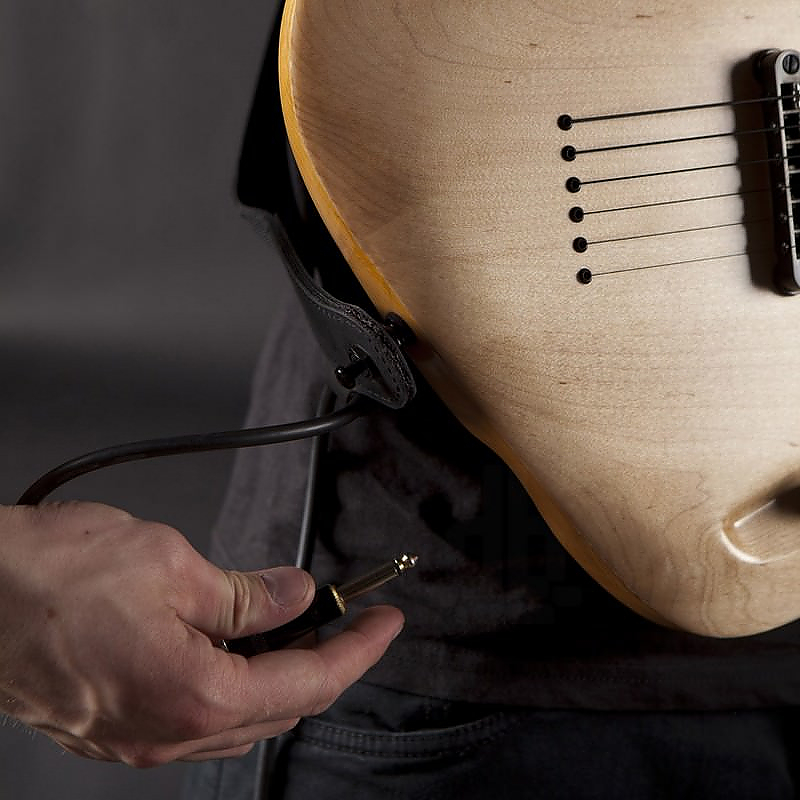 Thus, the lack of them allows for the production of a wider range sounds such as microtones. 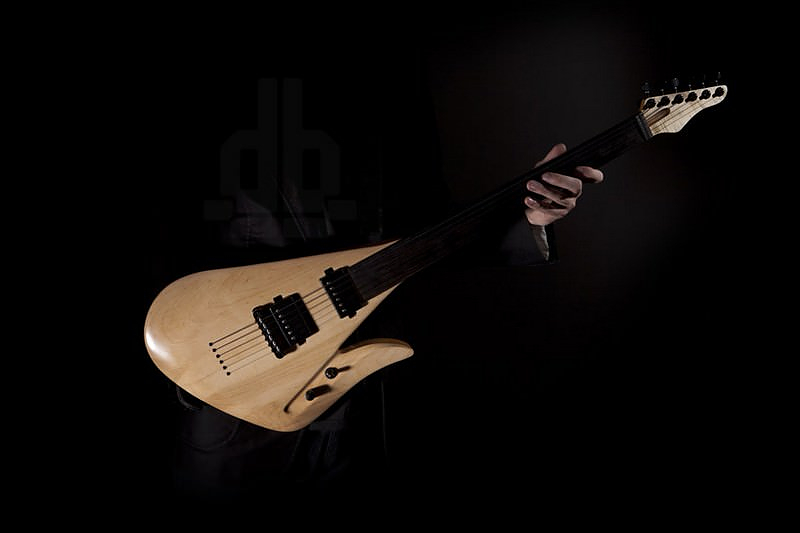 Although this demands a skilled hand while playing, gives wider opportunities for compositions. 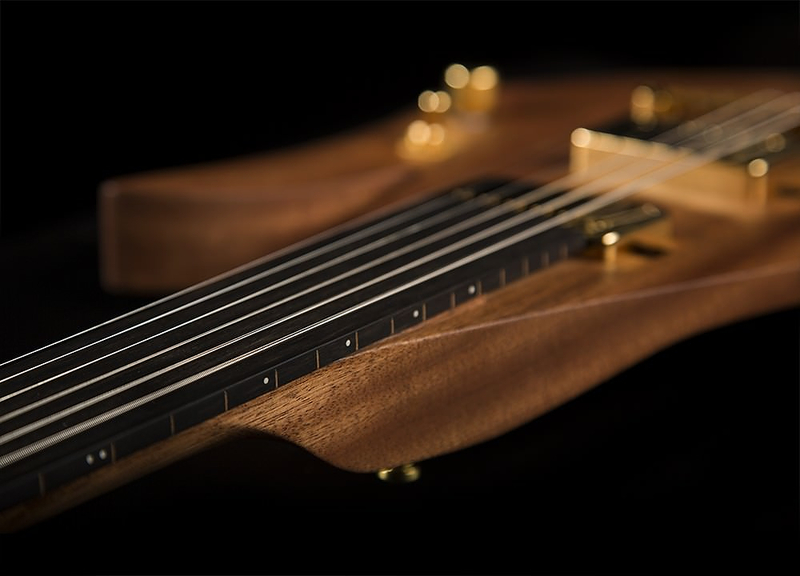 The visual result is the removal of vertical sections that purify the form and reduce the amount of ornamentation throughout the design. 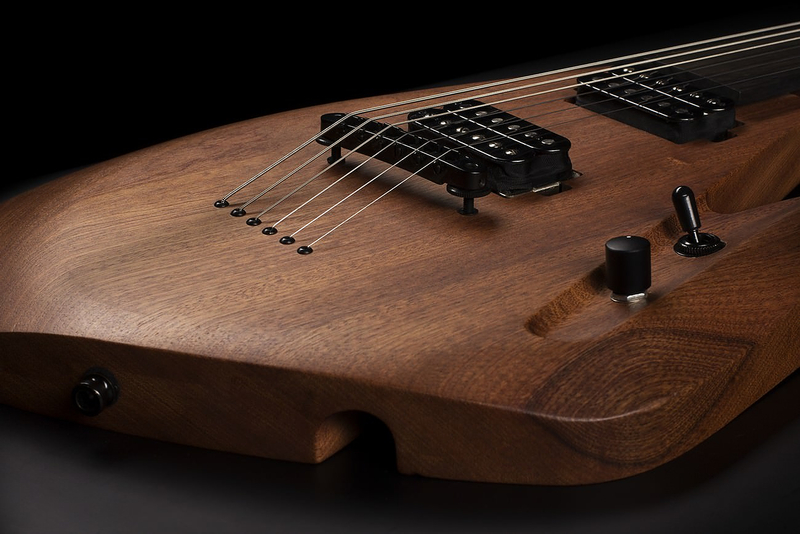 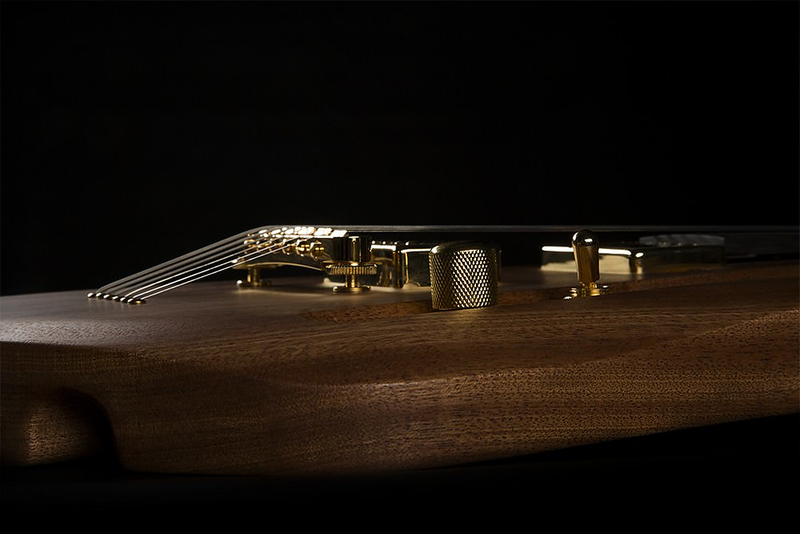 The wooden body, made of maple includes a hidden wire input, dots indicating fret locations along the side of the fingerboard, and tone controls inserted along an accented edge. 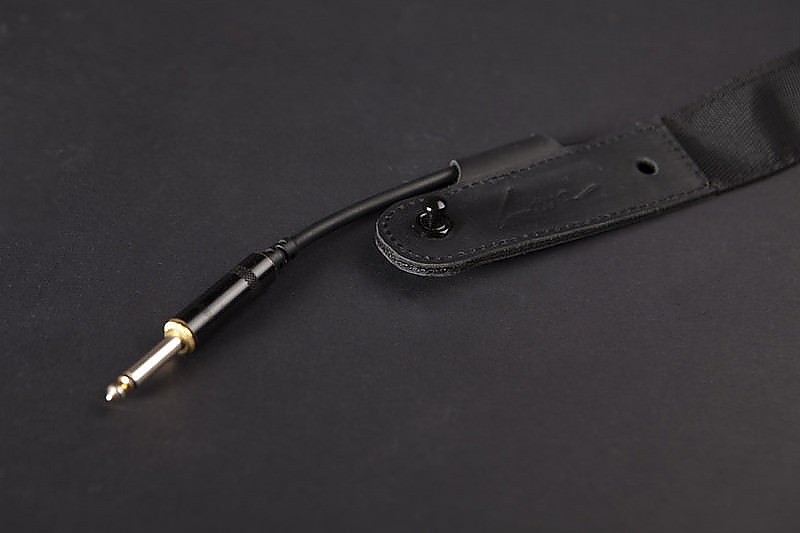 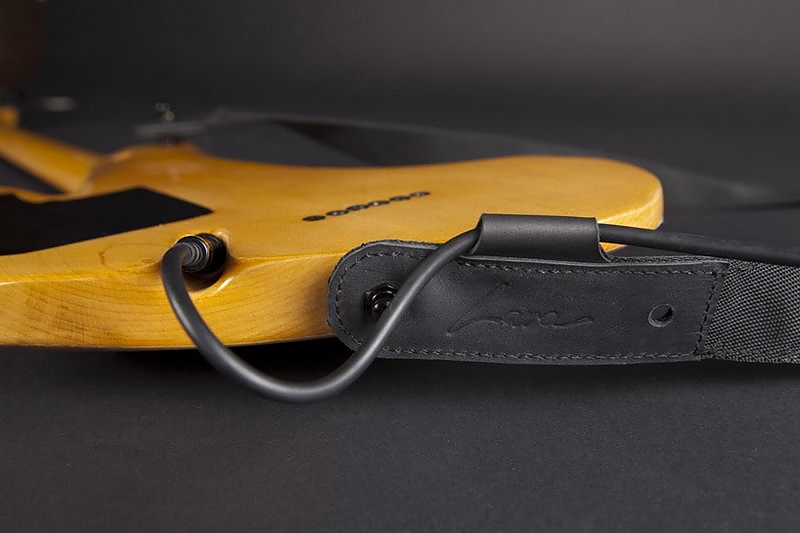 These features provide functional and ergonomic benefits for the musician with smooth contours and black details attached to an ebony fingerboard. 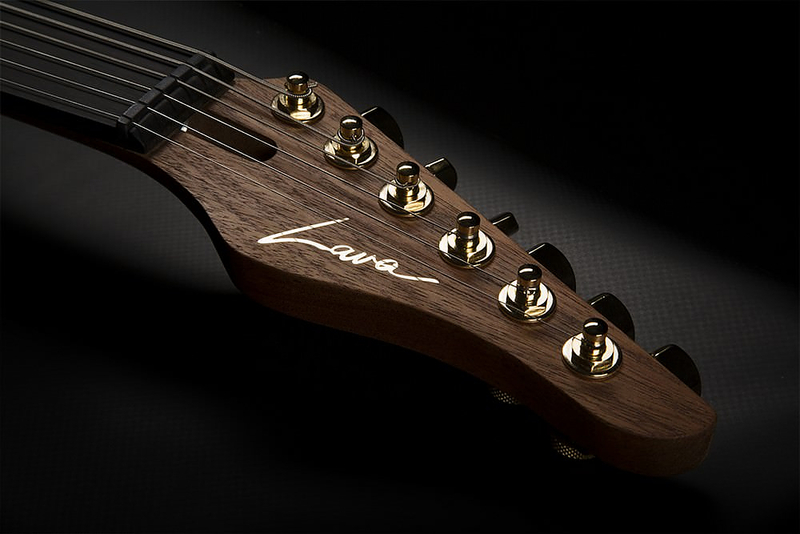 The name and the visual appearance of this distinctive electric guitar was inspired characteristics of lava. 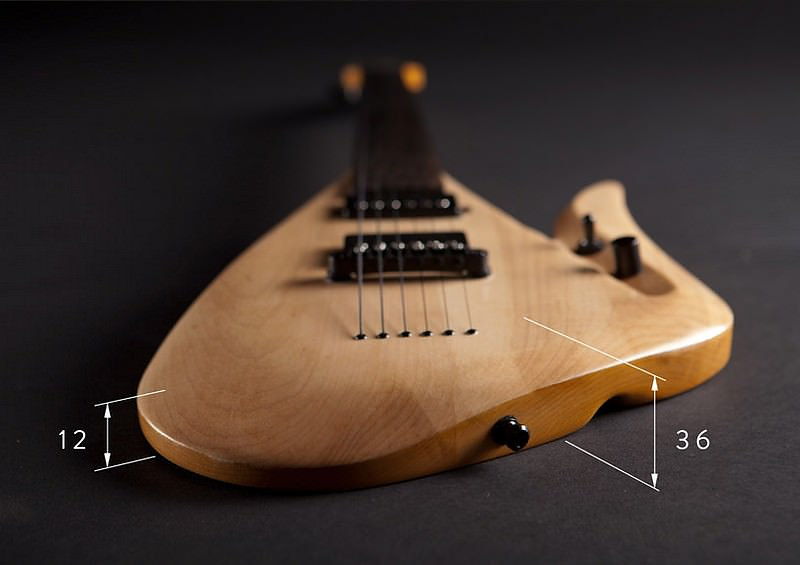 At first liquid and viscous then a stiffened mass, lave is a permanently varying phenomenon, that according to the creator makes it quite appealing. 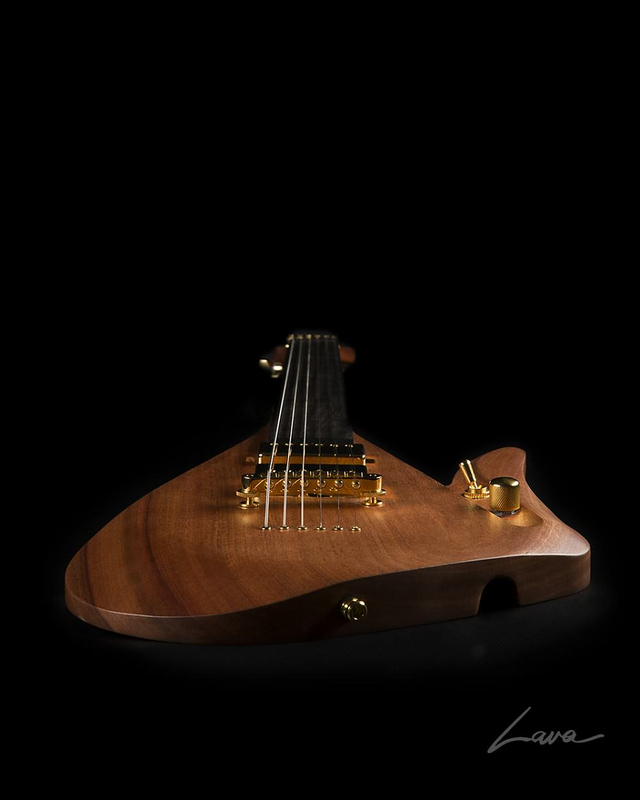 Eruption and the ever-moving nature of lava are depicted on the guitar’s shape, design and use of colors. 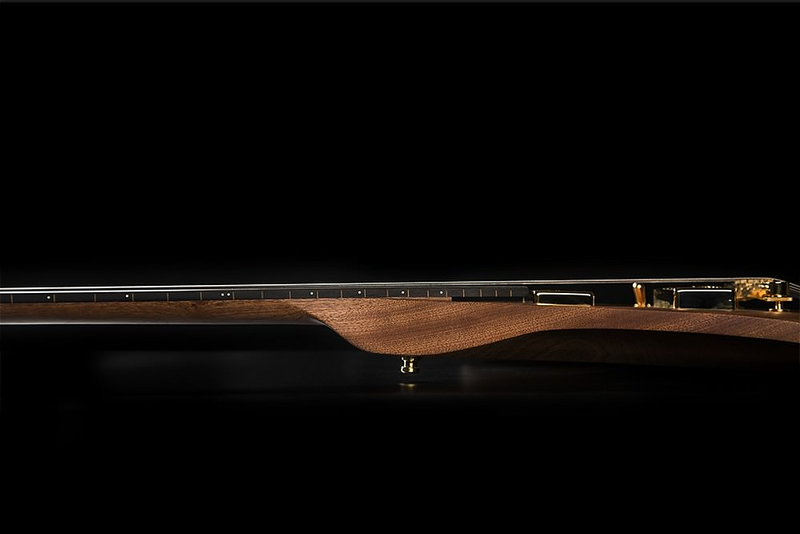 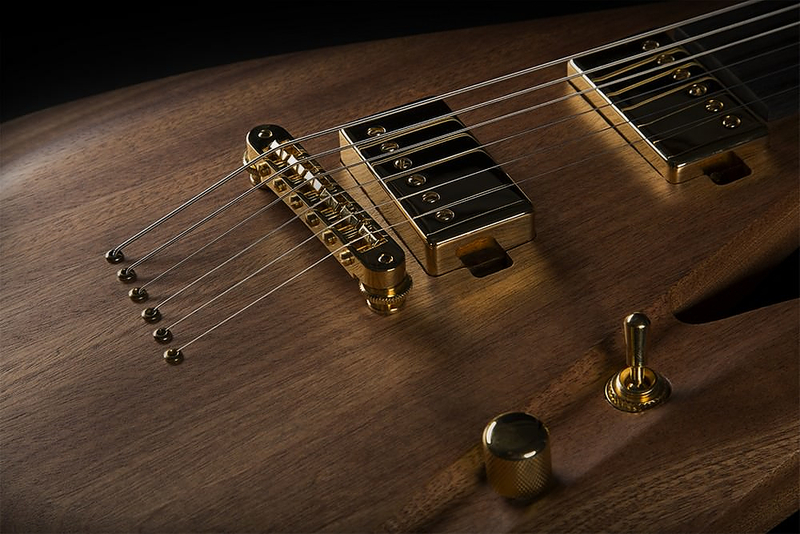 The available color palettes are sapele wood or maple wood adorned with black or gold details and an ebony fingerboard, a commemoration of stiffened lava. 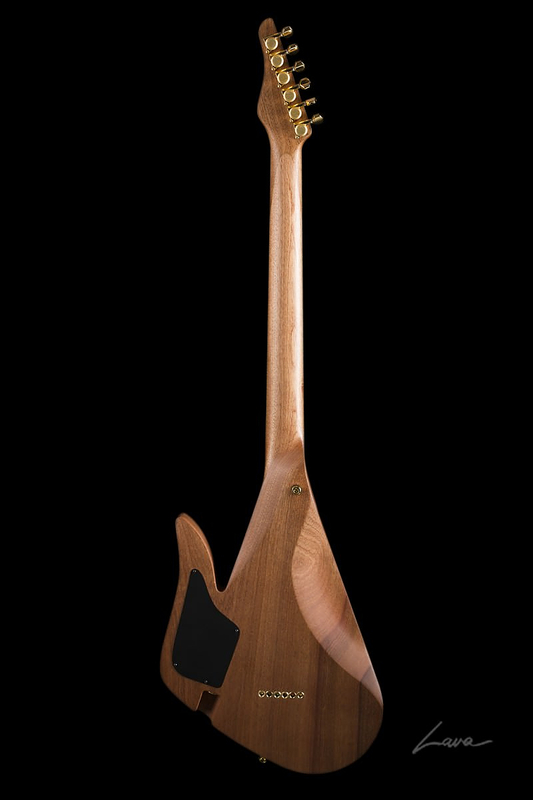 These high quality guitars are made using a solid piece of wood, sculpted to form a very slim and ergonomically correct guitar body. 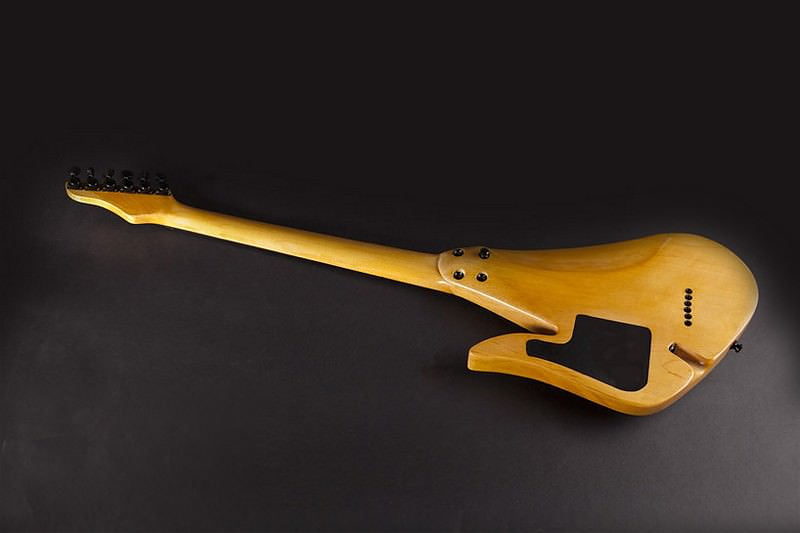 Alfa Romeo Guitar by Harisson Custom Guitar Works. 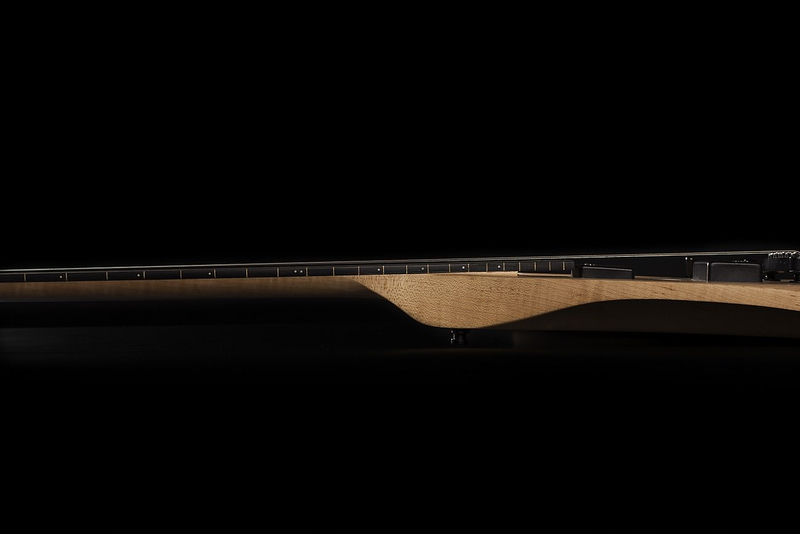 Black Swan Superyacht by Timur Bozca. 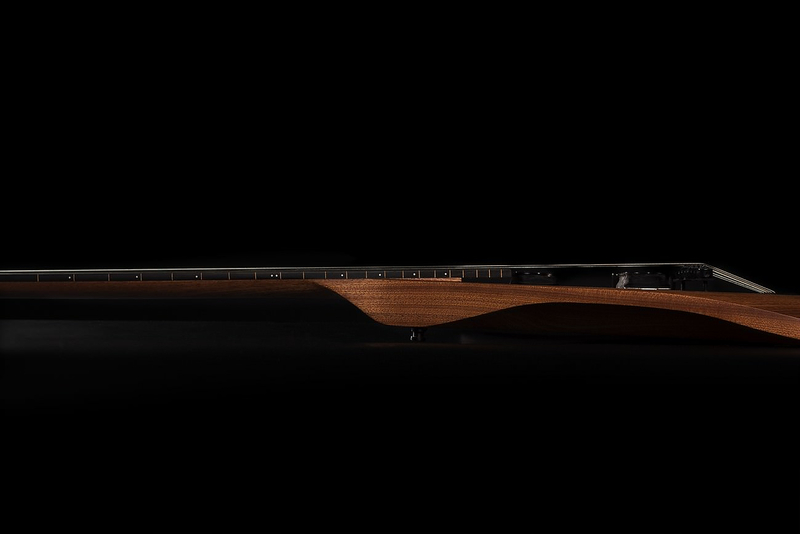 Propello Silent Desktop Fan by Black + Blum.